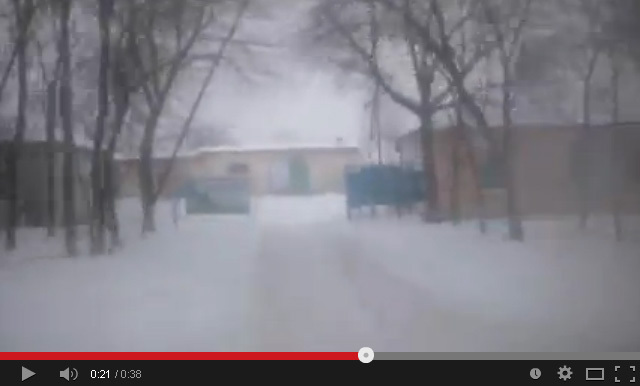 Russian Army units in Krasnodon blocked the base of local terrorists. 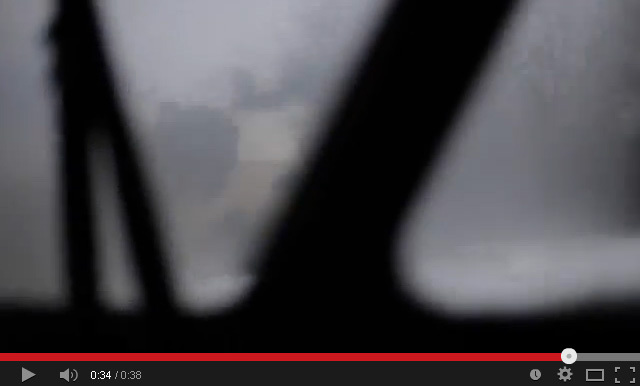 At least 4 Russian BPM-97 “Vystrel” in the video. On January 1 2015 one of the leaders of terrorist group called “Batman” and his bodyguards were burnt on the road between Lugansk and Lutuhyne. The leaders of so-called Lugansk People’s Republic (LPR) posted a message on their information resources and claimed that they tried to arrest “Batman” and his men, but they started to fire, so they have been killed during the fight. 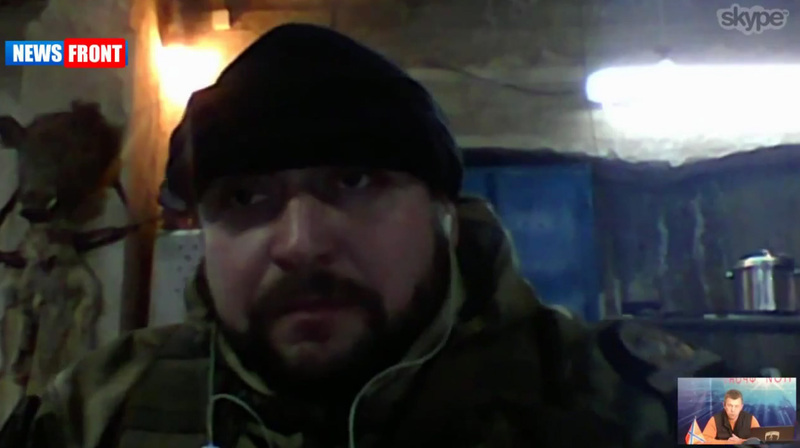 The rest of the “Batman” group and witnesses claimed that the leader of LPR Plotnitsiy is removing everybody who is independent from his “army”. “Batman” and his team were moving in 2 vehicles and they had no chance to fire back as they were attacked without warning from 2 sides of the road from very close distance. 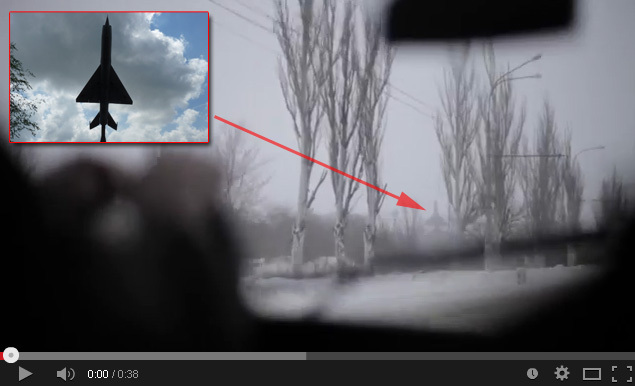 Russian Federation citizens who were part of the group called “Rusich” and were ally with “Batman” left LPR territory. The leader of “Rusich” Aleksey Milchakov in his interview later said that people who killed “Batman” were using Russian APC “Tigr” and BPM-97 “Vystel”. 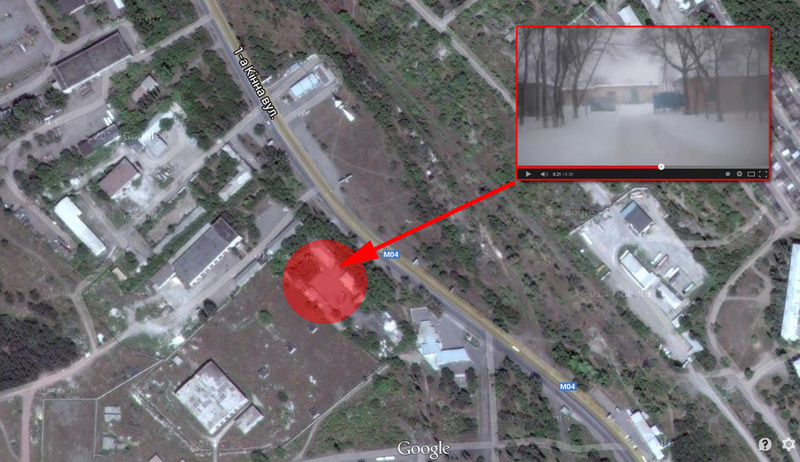 So today same heavily armed unit with armored personnel carries BPM-97 “Vystel” and other vehicles has arrived to Krasnodon and surrounded the base of local pro-Russian terrorist group called “Odessa”. The leader of “Odessa” group with nickname “Varyag” gave interview to pro-Russian separatist channel and explained the situation. 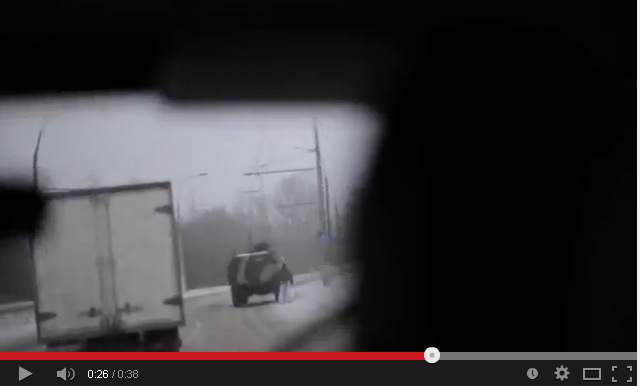 He said that a group called “Private Military Company” surrounded their base and offered to surrender their weapons. 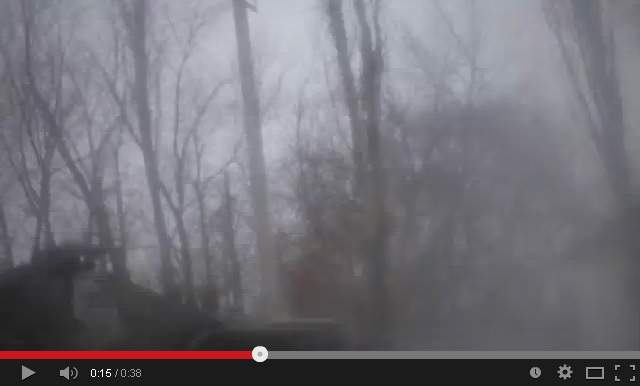 The road from Krasnodon to Lugansk has been blocked. 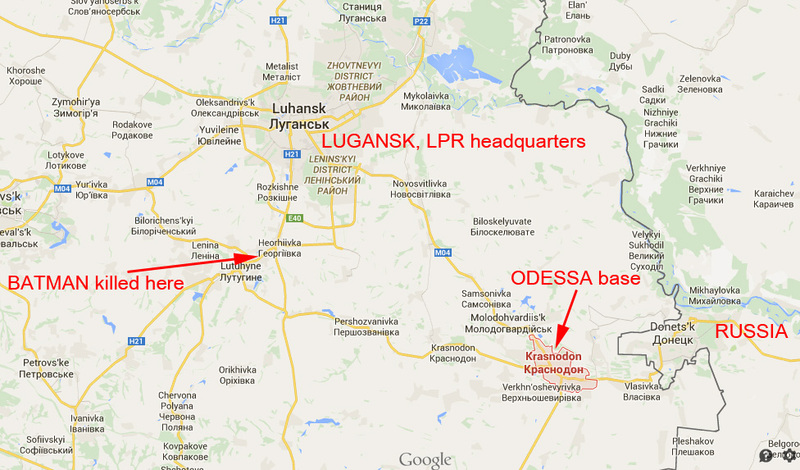 Later it was reported that “Odessa” group has surrendered and nobody was killed. Obviously Russian Army units are helping the leader of LPR to take under control all terrorist groups in different cities. Formally all those groups support LPR, but in reality they are acting independently from each other and not always recognize the central command center of terrorists located in Lugansk. 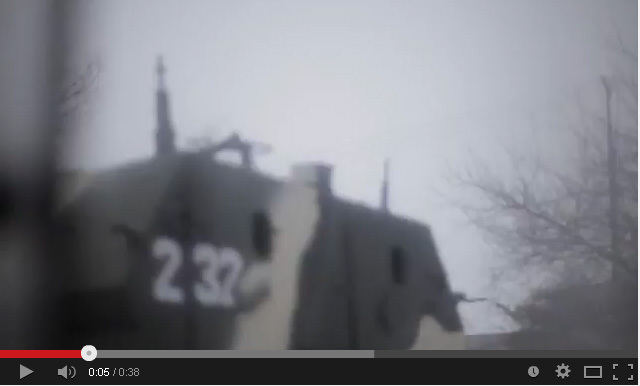 On the screenshots below are 4 Russians BPM-97 Vystrel Dozor-N spotted in Krasnodon today. 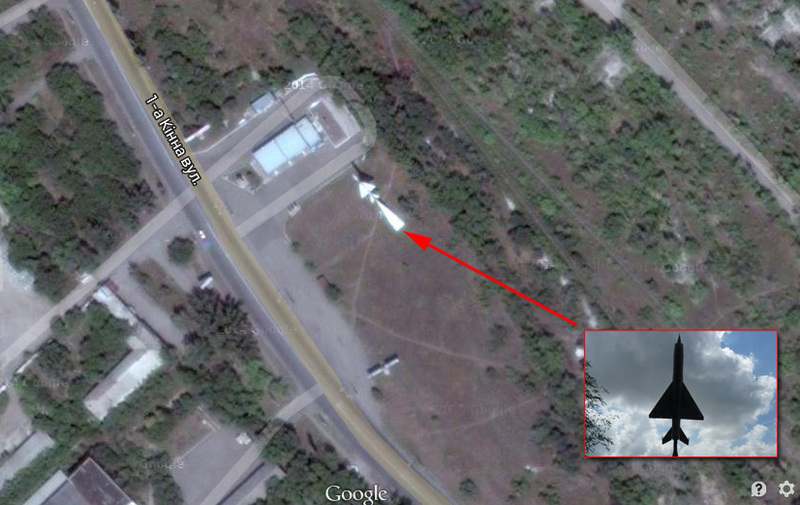 Below is detailed analyses of the video that shows where the video was taken. 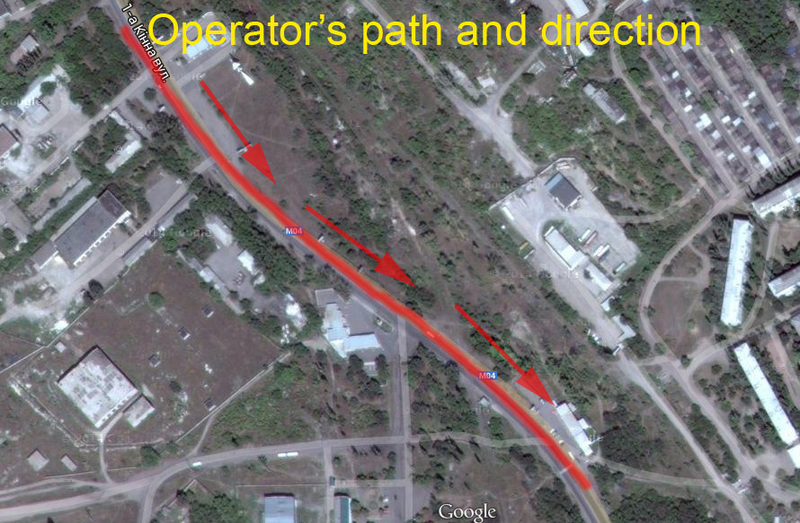 And here is the path and direction the operator was moving. In the screenshot below is the entrance to the terrorist base. Just before it there is a bus stop called “RMZ”.